Breakfast very disappointing and two people entered into my room while I was there in the morning. There is too little staff at the hotel . for a drink at the bar you have to wait about half an hour to get served. i'm gold member of accor club , my points for my stay are not booked on my account. I had to call myself to ask for it today , still waiting for reply. Never experienced before at an ibis hotel. Very little water coming out shower. I stayed here for one night while travelling for work. It was my pleasure to find a clean and spacious room and bathroom with nice touches (like the LED light hidden under an edge of the wall below the TV). The windows isolate you 100% from the noise of the highway next door which helped us have a good night sleep on some good mattresses. Happily the breakfast didn't let us down as it offered everything you need for a healthy breakfast (including a juice machine to make your own orange juice - of course oranges were from the house :). The hotel was not clean, dirty carpets in the room, in the corridor, in entrance, sticky floor in the toilet and bathroom of the room, dirty around cafe machine and on the tables, generally dirty everywhere. It was mentioned hotel from 2016, but clearly not, in a very 1980's building. So could't wait to leave the place. Hotel place convenient for my job purpose. Room comfortable and spacious compared to similar ibis hotel. Service attitude ok but could be improved with more smile and attention. Very comfortable stay, kind and helpful desk clercs, great b-fast! Good value for a hotel in this area, particularly as breakfast was included. It's a pity that you can feel it is an old Ibis re-styled poorly to a Ibis Styles. Adding some led light under the television is not enough in my opinion. Usually, I am a great fan of Ibis Styles hotels. Unfortunately, this time, the stay was rather weird. I booked at 18.00h on the day of the arrival. When we finally (after a traffic jam) arrived at the hotel at 00.30h, the clerk had not received any notice. He managed everything within a few moments. On the next morning, when we were at Breakfast, staff personnel went into our room and prepared it for the next guest. When we returned at 09.45h, they were doing the bathroom and the beds. Thus we had no chance to use the bathroom again in our room. We took our bags and used the ones in the lobby. Thus, weird and unexpected. But I am rather sure that this was a unique experience and look confidentially forward to our next stay. The Accor Group should be worried !!! SEE BELOW De : Duncan W. [mailto:du…] Envoyé : mardi 29 août 2017 17:17 À : IBIS STYLES Antony Objet : FAO - Soraya Akbar Dear Soraya I stay at the hotel last night and want to follow up on Jimmy’s email below – Please also read my complaint email for down this email. When I asked for more towels, he said that they were in our room under the sofa and not at reception, otherwise I would have taken them. He says that the drinks voucher was for the air conditioning and not for my loyalty status, but the voucher was not offered until I emailed my complaint. Both the towels and drinks voucher were delivered to our room at about 20h, but no pillows. Unfortunately the rest of the night did not get any better. As it was a hot night we had to have the window open which let in mosquitos that bit us all a lot and the noise from the A10 was loud. As we did not get any sleep we had breakfast at 05.30 and left before 06h. Please let me know your thoughts as I am not a happy customer – I await your reply. Regards Duncan W. From: IBIS STYLES Antony [mailto:HA…] Sent: 28 August 2017 20:12 To: Duncan W. &lt;du…&gt; Subject: RE: Complaint Good evening Mr, We are sorry for this inconvenience, your towels were waiting for you at the reception after your request as well as your coupon for the drink. As for the air conditioning we are sorry to not be able to get you a functional room, that is why we offer you a drink each. Cordialement, Jimmy – Réceptionniste Ibis Styles Antony Paris Sud 1 rue Alexis de Tocqueville - 92160 Antony - France Tél : +33 (0)1 55 59 98 46 – Port : +33(6)50 44 95 88 ha… ou ha… ibisstyles.com - accorhotels.com De : Duncan W. [mailto:du…] Envoyé : lundi 28 août 2017 20:36 À : IBIS STYLES Antony Cc : Duncan W. Objet : Complaint Dear Sirs I am staying in room 108 and I want to say how disappointed I am with the room and service I have been offered so far. Firstly the air conditioning does not work in the room and when I reported this the person on reception said none of the units work in the whole hotel which is not pleasant when the temperature is in excess of 30C. Then I asked for towels and pillows, the person said that there were plenty in the room. This was not the case and I don't think 1 large and 1 small towel is &quot;plenty&quot; for a family of four. We also had only 2 pillows for all the beds in the family suite!!! I didn't go back to the person as I concluded that this would be a waste of time as he seemed incapable of helping anyone. 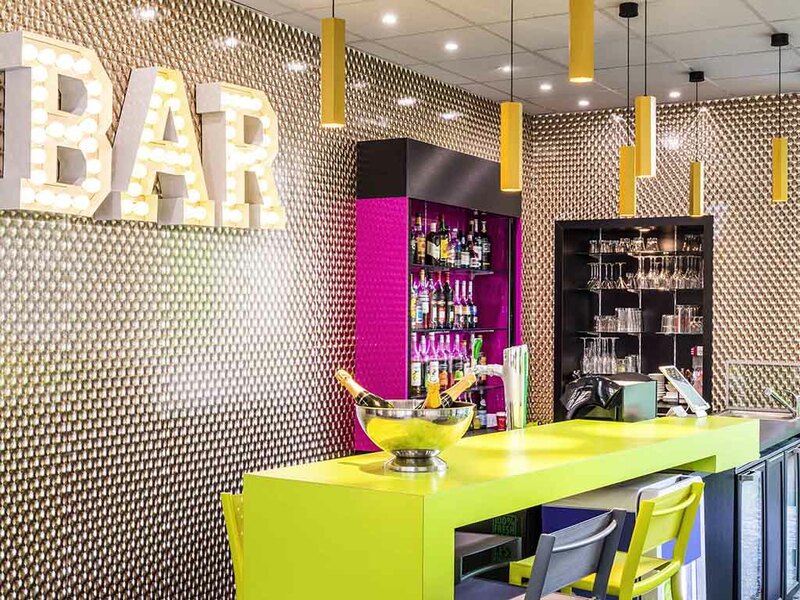 I am an Accor silver card holder and am usually offered a welcome drink, which was not offered, but I am not sure if this is not the case in Ibis hotels? I really don't think I should pay for this stay and I would like to hear back with your comments. Regards Duncan W.
We booked two rooms for four people .one room was extremely noisy with loud music till 4am from across the road !!! Both rooms only had one towel per couple . One room the bathroom door did not close room ( 217 ) this is not acceptable in a hotel room . For comfort i would expect at least two pillows only one was provided . Overall i was dissappointed with our stay and ecpect more from an ibis style room !!!! We complained about room door not closing had 45 mins of reception trying to fix broken door then offered second room that haf mould growing in every room and told we have to pay for it because weve been in the room! Then he walked off not to be seen of again. We had 3rd room but again dirty and mould growing and told thats all if we dont like it go away. With two young children and disabled wife at 8pm in evening we had nowhere to go! Took room only because children were very tired. Staff waljed off agai n in the morning when we tried to check out! Poorly run and not clean at all. Extremely disappionted and annoyed ruined our last day on holiday.